We are deeply grateful for the many prayers and thoughtful messages that have been pouring in since Barbara Bush passed away. She was loved by everyone. As a role model for leading a life of service to others, Barbara Bush was driven by a passion for ensuring everyone had an equal opportunity to succeed and reach their fullest, God-given potential. That path began with learning how to read. She chose literacy as a cause because she understood that literacy is fundamental to human development. She has said, “Everything I worry about would be better if more people could read, write and comprehend.” That is so profoundly true, yet simple. Since she launched her literacy platform nearly 30 years ago, Barbara Bush has impacted countless lives across the globe. 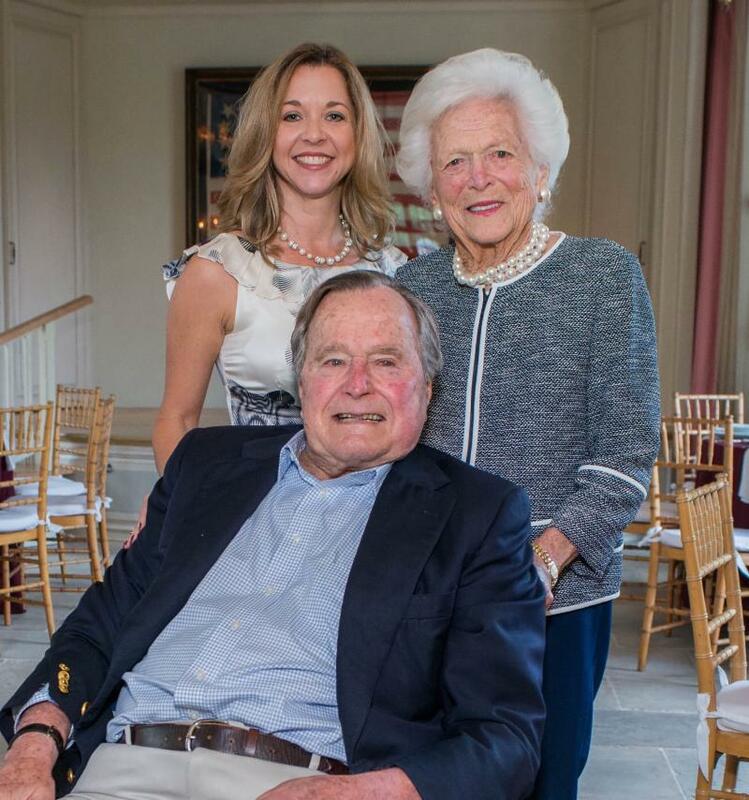 Five years ago, Neil and Maria formed the Barbara Bush Houston Literacy Foundation to advance their mother’s literacy vision in her own backyard. Our hope is that Barbara Bush’s legacy will continue to shine a light on our mission. We must inspire others to join us in actively making Houston a model city for literacy. Up until her final days, Mrs. Bush was relentless in her pursuit of making a difference. She never stopped caring and giving. Barbara Bush exemplified the true meaning of a “point of light” through her countless acts of kindness and her cause of literacy. It is awe-inspiring to grasp the reach this one very special woman had in the world. Mrs. Bush encouraged all of us to get involved in something bigger than ourselves, in the big ideas of our time and live a life of purpose and meaning. The most befitting way to honor our beloved Barbara Bush is to continue advancing her legacy and realize her vision of literacy for all . We are committed to doing this through the Barbara Bush Houston Literacy Foundation and invite you to join us by making a gift in honor of Mrs. Bush. 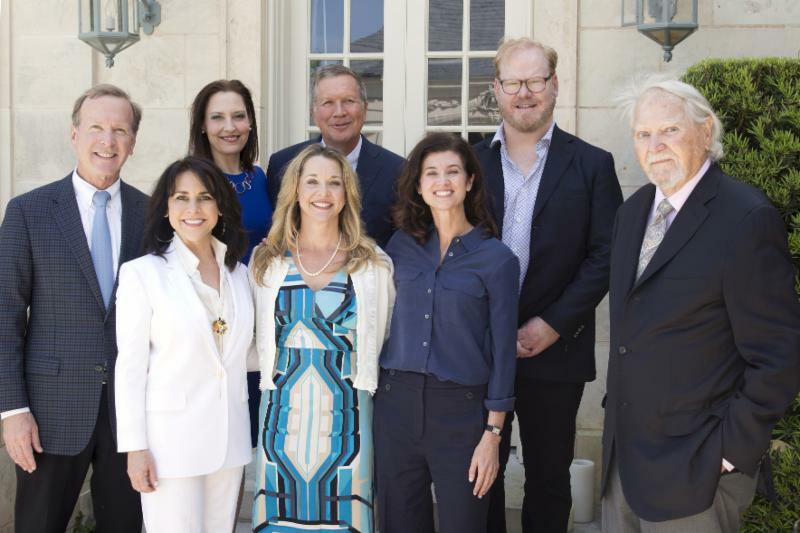 From Left to Right: Neil Bush, Maria Bush, CK Kerley, Governor John Kasich, Julie Finck, Candice Millard, Jim Gaffigan, Clive Cussler. 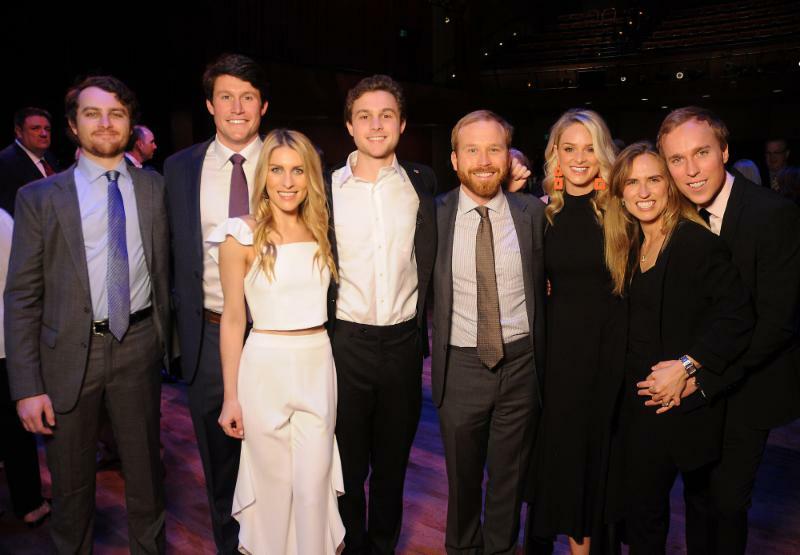 We wish to express our deepest gratitude to Neil & Maria Bush for hosting the 24 th annual A Celebration of Reading and grandchildren Pierce Bush, Sarahbeth Bush, Clemmie Pierce, Lizzie Andrews, Ashley Bush, and Ellie Sosa for participating in the program. Also, we are grateful to authors Clive Cussler, Jim Gaffigan, Governor John Kasich, Christina “CK” Kerley and Candice Millard for giving freely of their time and talent to help make this year’s event a huge success. Thanks to title sponsor Phillips 66, presenting sponsors Quanex Foundation and Hushang & Shahla Ansary, a special gift from Jim & Linda McIngvale and the many other donors attending the event, more than $2M was raised for the fourth year in a row. We are also grateful to Ward & Ames Special Events, Empower Events, and Jackson & Company for their support. Neil Bush, Maria bush, Betty Hrncir, Julie Finck, Trish Morille. ﻿created in honor of Barbara Bush. Our Ladies for Literacy Guild is partnering with Stone Acorn Builders and Southern Living for the Custom Builder Showcase to be held in September. Southern Living will feature the building process and location as part of its “After the Storm: Hurricane Harvey, One Year Later” series. The Braes Heights neighborhood was decimated by flooding and the showcase home is built on the site of a bungalow that was razed after damage by the storm. 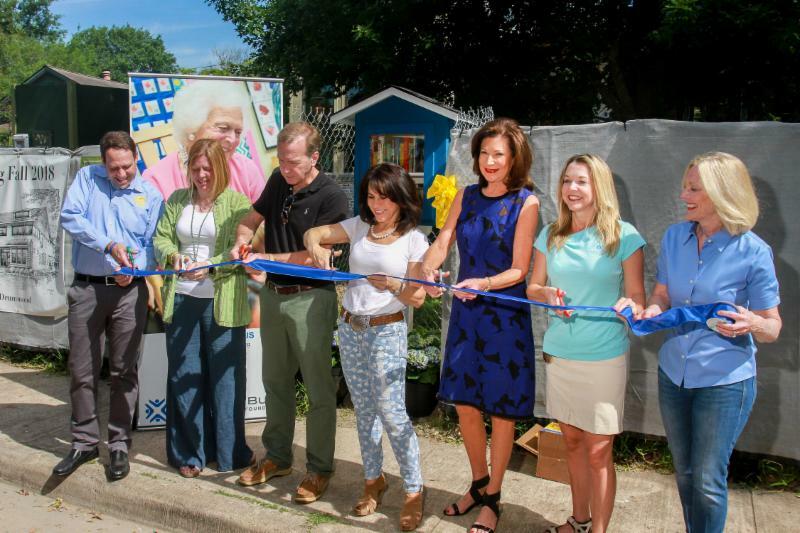 Last weekend, the partnership kicked off with a ribbon cutting ceremony and “framework” signing tribute to Barbara Bush. 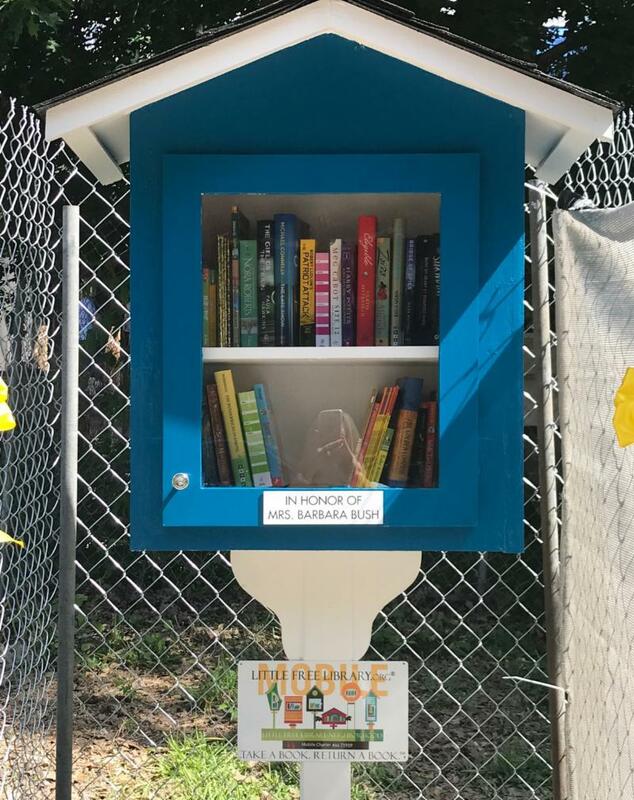 The event also debuted a Little Free Library stocked with books for families in the neighborhood. The showcase home includes a large family library and multiple reading nooks throughout, major features in any home built by the brother-and-sister team of Stone Acorn Builders’ Sarah Lavine-Kass and Benjamin Kass. From cook books in the kitchen to children’s books in the bedrooms, a book theme will be central to each room during the showcase. Proceeds from admissions to the Southern Living Custom Builder Showcase event will go toward the Foundation’s efforts to replace books ruined at Mark Twain Elementary due to Hurricane Harvey. We are pleased to announce that eight public libraries across Harris County will be revamped to better serve parents of children under the age of five thanks to a special request from Barbara Bush and a matching gift from Phillips 66. The $200,000 total donation answers the community’s request for Family Place Libraries™, a national model for transforming libraries into community centers for literacy, creating robust early childhood spaces for families to play and stimulate learning. The funding will allow the Harris County Public Library branch staff to receive specialized training to better support families and expand programs at library branches specifically for toddlers and their parents. In addition, a specially-designed space will feature interactive materials, early literacy kits, games, toys, music and multimedia resources, learning stations, and of course, books. 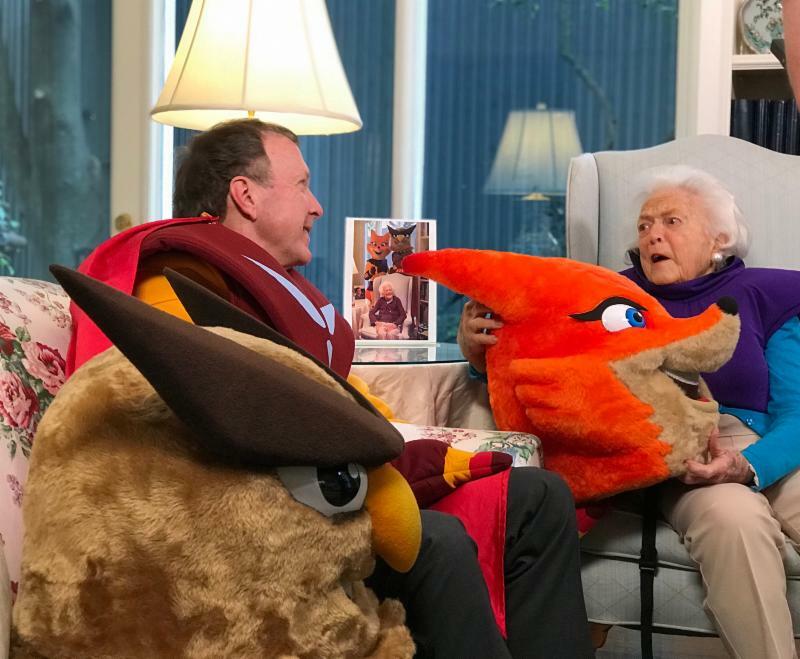 Neil and Barbara Bush behind the scenes of the Houston Mascots for Literacy video. Just weeks prior to her passing, Barbara Bush joined Neil and Maria Bush to create a video for the 24 th annual A Celebration of Reading held on April 19. 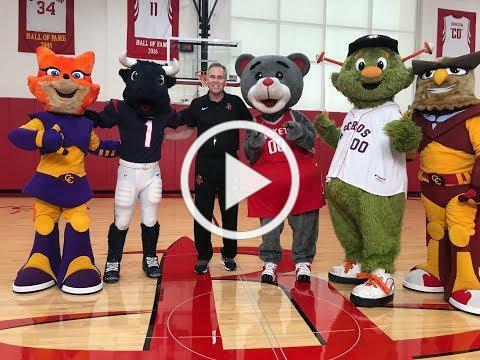 The video also features Houston Rockets coach Mike D'Antoni, mascots of the Houston Texans, Houston Astros, and Houston Rockets, and Curiosity Cruiser mobile library mascots, Owlbotron and Northtale. In the words of Mrs. Barbara Bush, "Believe in something larger than yourself...get involved in the big ideas of your time." 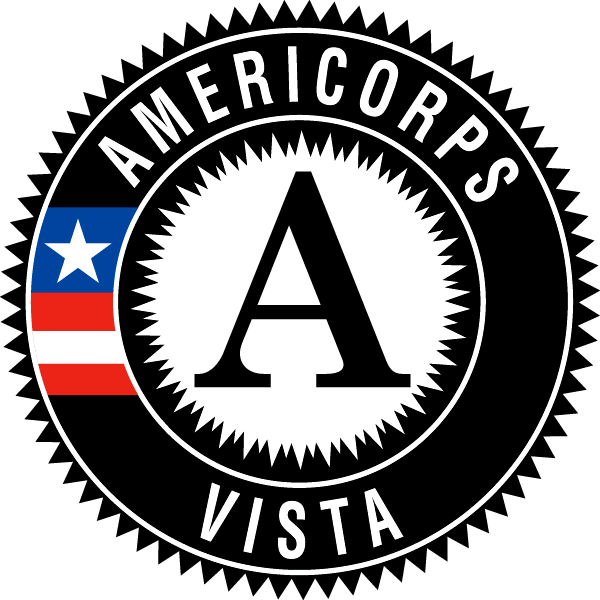 AmeriCorps VISTAs (Volunteers in Service to America) have been at the forefront of ending poverty in America for 50 years and, to date, have over a million members who have passionately given a year of service to make our country stronger. As an AmeriCorps VISTA at the Barbara Bush Houston Literacy Foundation you can play a leading role in improving the quality of life for Houstonians of all ages through the power of literacy—the ability to read, write, speak clearly, and think critically. We are pleased to announce that A.J. 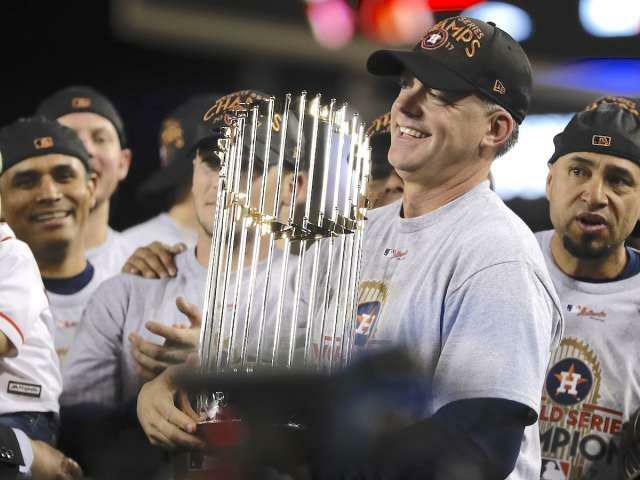 Hinch, Manager of the 2017 World Champion Houston Astros , and his lovely wife Erin have agreed to serve as the 2018 Jungle Book Gala Honorary Chairs! 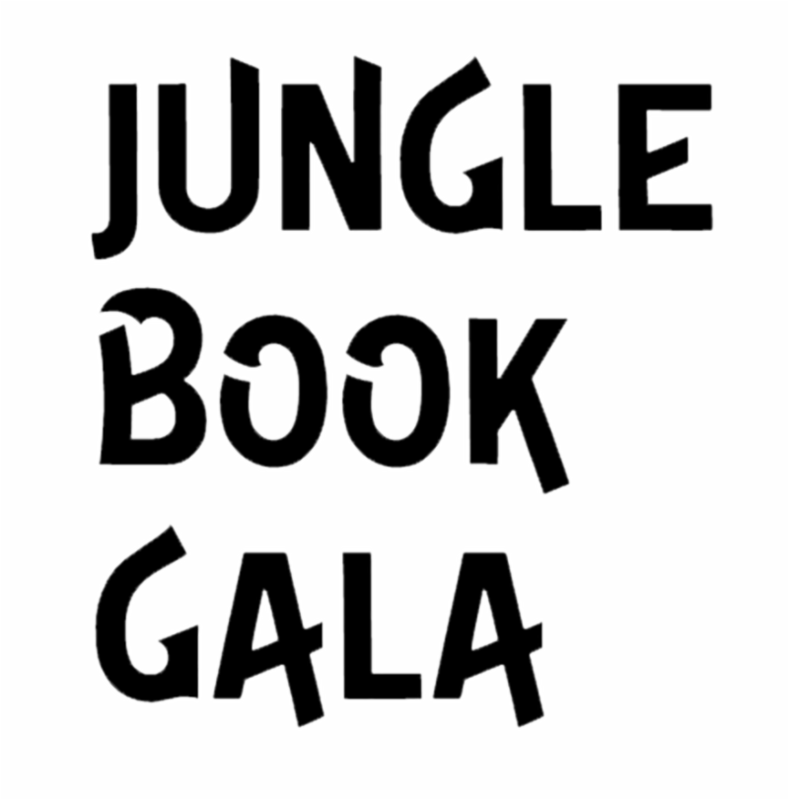 Our 4th annual Jungle Book Gala will be held November 9th, 2018 at The Revaire , a beautiful new venue located in the heart of Houston. ﻿on Wednesday, Nov. 1, 2017. Big Awesome Book Sort a Big Success! Our second Big Awesome Book Sort for My Home Library was incredible! Over the course of three days, more than 200 volunteers created home libraries for 3,900 students. Thank you to Region 4 Education Service Center for providing the event space and great hospitality. 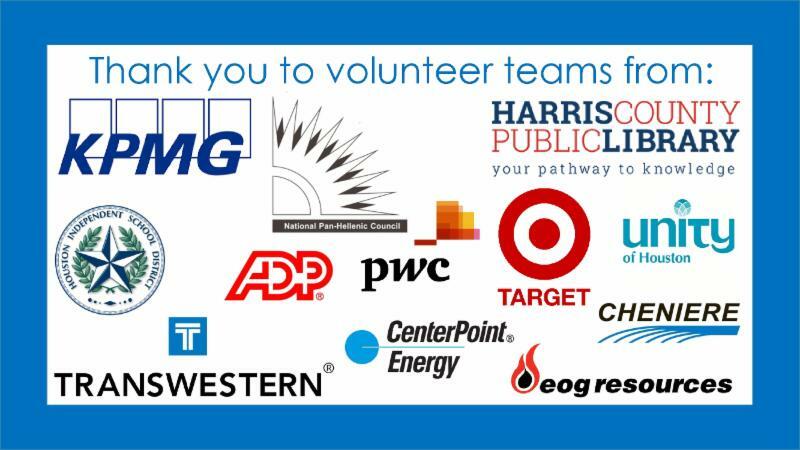 Thank you to Marathon Oil , ADP , CenterPoint Energy , Cheniere , and National Panhellenic Council for sending teams of volunteers. For Spring 2018, more than 450 volunteers committed over 1,200 hours to ensure more than 7,500 students have home libraries. Thank you to everyone who helped to make sure that our Big Awesome Book Sorts were successful! We hope to see you all at our Big Awesome Big Sorts in the fall. 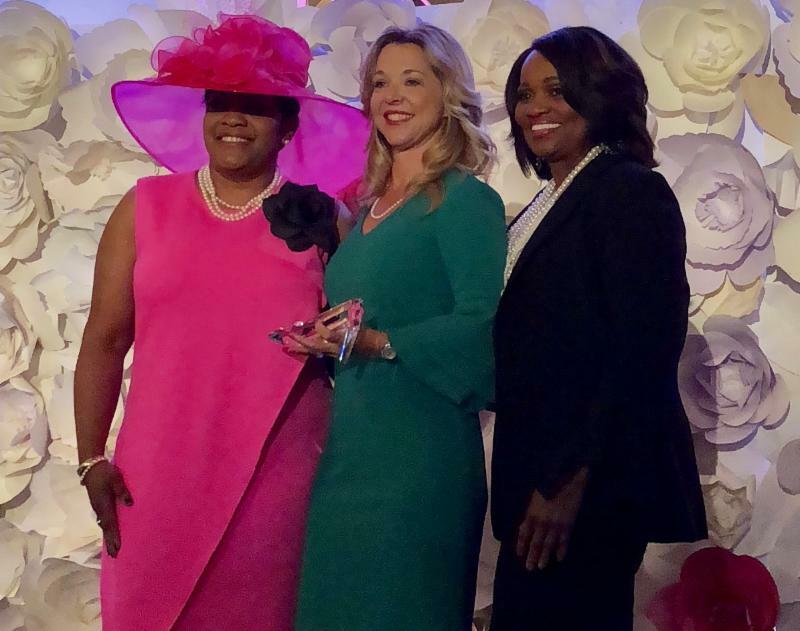 We wish to thank RARE Pearls, Inc. for honoring Dr. Finck with a Woman of Excellence Award at their recent “Pumps and Pearls” Scholarships and Awards Luncheon. The award recognizes the accomplishments and service of women who personify excellence in their diverse roles and who are committed to helping pave the path to success for other women and girls. RARE Pearls is a mentoring organization for under-served high school girls to equip them with the skills, values, confidence and faith to reach their full potential and become productive women of excellence.